The plot of Dead Space 2 takes place in 2511 A.D., three years after the events of Dead Space, on the densely populated Titan Station on Titan, a moon of Saturn. 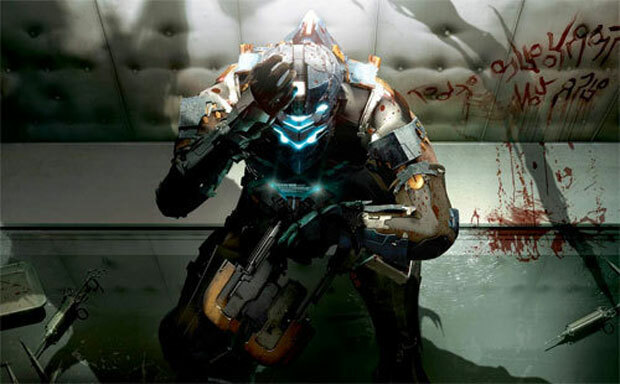 The mental illness caused by the Marker appears to be permanent and continues to have an effect on the protagonist and hero of the original game, Isaac Clarke. The government will continue to have a place in the storyline, their sinister motives always to be questioned! "My demo picked up with Isaac back in a version of his familiar engineering suit, which gives him some protection from the beasts along with telekinesis and the ability to slow things down. A woman named Daina is leading our hero, but there's also a guy named Nolan Stross trying to get in contact with Isaac. Daina claims he's a psychotic that killed his own family." Hmmm, can you say psycho killer qu'est ce cait? Extra for Experts: it was recently noticed that Bungie trademarked the name Dead Orbit - some people are speculating that this could be the name of the new Bungie IP - I doubt it as it's so close to the name Dead Space - what do you think? What's Bungie up to?